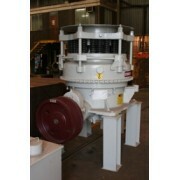 Epoxy and Polyurethane crusher backing resins are available. A casting polyurethane resin, especially designed as a crusher backing resin. tough-elastic, shore D 60 hardness, orange in colour. Also used for electrical encapsulation and moulded components. Packed in 10 kg kits (2 x 5 kg) protected in foil pouches. TECHNICAL DATA SHEET ..
TEK148 Casting resin used mainly for crusher backing with two variable setting times TEK148B and faster TEK148FB. This system is also used to repair and to grout machinery into concrete and general concrete repair as a liquid pourable epoxy. Tek 148 can also be used as grouting for Rock Bolts ..